House prices in Scotland reached a new peak in November 2018, with annual house price growth hitting six per cent, according to the latest house price index from YourMove/Acadata. This is compared with both England and Wales which have fallen by one per cent. In the year to end November, the average cost of a home sat at £186,142, an increase of 0.7 per cent from £175,541 in 2017. The average house price in nine local authority areas in Scotland reached new highs, the latest statistics found. Edinburgh prices rose 3.3 per cent on the previous month - £295,665 - accounting for half of the 0.7 per cent increase across the whole of Scotland. This was up 16 per cent on the previous year, among the highest rises throughout the country. Glasgow City reached its new peak average of £165,245, up 6.7 per cent in a year, and 0.1 per cent on October 2018’s figures. These impressive figures from Scotland's two biggest cities, however, were dwarfed in comparison to Na h-Eileanan Siar and Clackmannanshire. Na h-Eileanan Siar’s average of £136,369 meant a monthly increase of 8.3 per cent and a staggering annual rise of 24.4 per cent. Clackmannanshire recorded an increase of 2.2 per cent on the previous month and an 18.5 per cent jump in a year with an average house price valued at £153,215. Other areas which showed significant improvement compared with the same period in 2017 were Argyll & Bute with an annual increase of 11.7 per cent, Falkirk (6.9 per cent), Highlands (6.4 per cent), North Ayrshire (6.3 per cent) and Moray (6.1 per cent). Senior housing analyst for Acadata, John Tindale, looked at housing affordability as one of the key drivers behind the impressive house price growth in Scotland over England. Using the Official National Statistics (ONS) definition of housing affordability – the median house price divided by the average earnings in that area – Tindale discovered that Scotland comes out top of the 11 Government Office Regions in Great Britain. In April 2018, Scotland’s median house cost was £149,125 while it’s average earnings are shown to be the third-highest in Britain, at £29,286. This works out at an affordability ratio of 5.09. This is compared with the North East (5.27), Wales (5.67), the south-east (10.38), and London (12.54). For first-class legal advice about buying or selling your home in Scotland, do not delay and get in touch with one of our specialist conveyancing solicitors today via the online contact form. 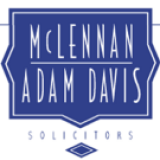 Since 1998, the Firm has rapidly expanded and is able to provide a broad range of legal services to the Ayrshire public. Our many years of experience enable us to offer the best possible service in numerous aspects of the law. We provide services in domestic and commercial conveyancing, the sale and purchase of hotels, public houses and licensed premises, leases, company formation, partnership, contracts, Wills, Trusts and Executries. We also provide a full Court service, both in criminal matters from the District Court to the Sheriff Court to the High Court, and for civil law matters such as reparation actions, matrimonial law, debt recovery, child law matters and employment law.